Anyone who will be serving as a member or leader of an FMEA team in a non-manufacturing environment. Failure Mode and Effects Analysis (FMEA) techniques have been around for over 40 years. In recent years, use of FMEAs has gained popularity as a quality improvement tool. This interest is in large part due to the automotive industry and specifically its IAFT 16949 supplier requirements. Now, non-manufacturing businesses and support departments in manufacturing businesses are also using FMEA techniques as part of their improvement and risk assessment strategies. The techniques are widely used in software, healthcare, education, banking and insurance to identify potential process problems and fix them before they occur. Unlike many quality improvement tools, FMEAs do not require complicated statistics. FMEA studies can yield significant savings for a company as well as reduce the potential liability of a process or product that does not perform as promised. Failure Mode and Effects Analysis (FMEA) for Business Processes Training provides step-by-step instructions on how to conduct Process-FMEAs (PFMEAs) in a non-manufacturing setting. 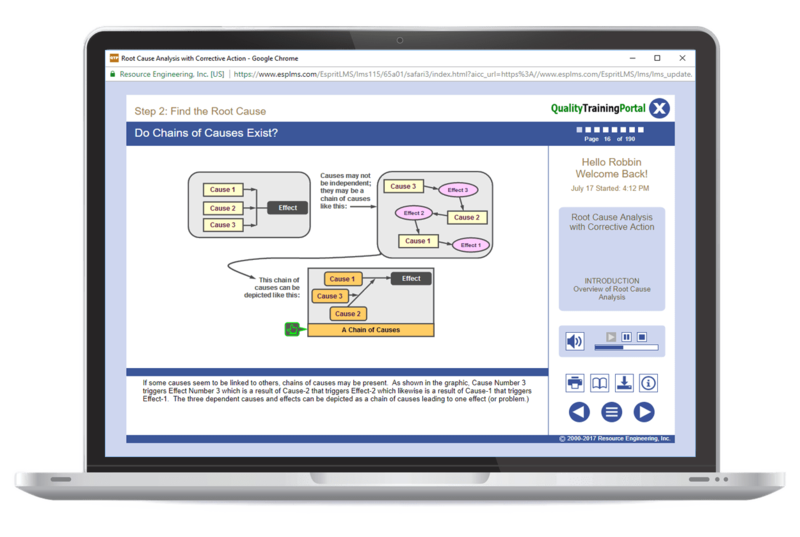 Learners completing this training will be able to effectively participate on an FMEA team and make immediate contributions to quality and productivity improvement efforts. For FMEA training in a manufacturing environment, see FMEA Training. Describe the purpose of an FMEA and explain the benefits of using FMEAs in non-manufacturing processes.